Has Wayne Rooney lived up to his potential? The Manchester United and England captain is no longer be the force of nature of his teens. 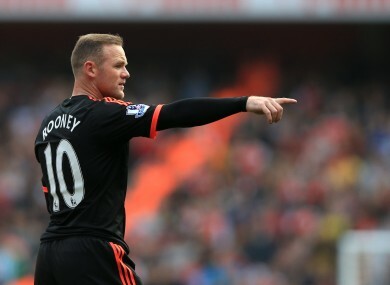 Rooney has won nine major honours over the course of his career. AHEAD OF HIS 30th birthday on Saturday, the view of Wayne Rooney as a player whose career, though hugely successful, has not quite fulfilled its early promise is being quietly reappraised. The Manchester United and England captain may no longer be the force of nature of his teens, but the dawn of his fourth decade brings the achievements of his 13-year professional career into sharp focus. He has won nine major honours, is England’s all-time leading scorer and looks set to become United’s, and while on the international stage he has never recaptured the heights of his breakthrough tournament at Euro 2004, few English footballers have dominated the sporting landscape for so long. “History has already judged him, because when you pick up the record books, there will be the name of Wayne Rooney,” David Moyes, Rooney’s former manager at Everton and United, told the Daily Mirror recently. “He’s already surpassed Sir Bobby Charlton as England’s leading goal-scorer and I’m sure he will go on to do the same at United. A recent BBC documentary about Rooney has helped to soften attitudes towards him in Britain. Renowned for his aggressive on-pitch demeanour, all angry scowls and expletive-strewn outbursts, the Rooney in the film came across as a shy and softly spoken family man. Viewers saw him chatting with former neighbours on the housing estate in the tough Croxteth district of Liverpool where he grew up and were treated to the surprising admission that the young footballer wooed his future wife Coleen with poetry. According to former England striker Gary Lineker, whose production company made the film, the public reaction on social media was “overwhelmingly positive”. While attitudes towards Rooney the man appear to be evolving, so too are perceptions of Rooney the footballer. His emergence with Everton as a raw, preternaturally gifted 16-year-old in 2002 sent England’s football media into paroxysms of excitement, while Arsenal manager Arsene Wenger described him as “a complete footballer”. Rooney, it was felt, was the most talented player England had produced since Paul Gascoigne and his performances at Euro 2004 in Portugal, where he scored four goals, made the world sit up and take notice. Since joining United later that year, he has won five Premier League titles, two League Cups, the Champions League and the World Club Cup, scored some of the modern era’s great goals, won countless awards, surpassed Charlton as England’s leading scorer with 50 goals and needs 14 more to break the former midfielder’s United record of 249. Viewed objectively, it is a staggering list of achievements and with his thirties beckoning, those achievements are perhaps belatedly being given their dues. Though no longer possessed of the explosive power he once had, Rooney is now a wilier footballer and a sharper finisher, while he has taken to captaincy for club and country with a seriousness and sensitivity that has surprised even his managers. Despite twice coming close to leaving United, in 2010 and 2013, Rooney has become imbued with the relentlessly forward-thinking mindset that characterised the club’s success under Alex Ferguson. It is why, despite his impending milestone, he is still setting his sights on the goals ahead, notably Charlton’s United scoring record and a first major trophy with England at next year’s European Championship in France. A retreat into midfield, meanwhile, may yet offer him further longevity. “I physically feel good and obviously your 30th is a big birthday in anyone’s life, but I still feel I am young enough, that I have a lot of years ahead of me,” he said this week. Email “Has Wayne Rooney lived up to his potential?”. Feedback on “Has Wayne Rooney lived up to his potential?”.